These are the most common insurances accepted by Dentists in Tucson, AZ. Excellent dentist. Excellent staff to support him. Really happy with his expertise. Painless injections are wonderful!!!. The office was busy that day, so I had to wait awhile. 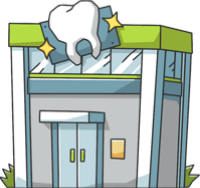 The dentist, Dr. Wilkinson, was delightful and his assistant was very kind and helpful.. Needed an urgent extraction and Dr. Chin was available for the procedure. The entire experience was totally pain free. He uses state of the art techniques and medications. Dr. Chin is very personable and will put you at ease immediately.. I had a very positive experience with Dr. Steinberg. I'm surprised that he has any negative reviews here on Wellness.com. I suspect at least one review is fake, as it mentions waiting rooms in the plural, and he only has one waiting room. I'm an actual patient. Dr. Steinberg did my denture implants. It's great being able to smile again and eat anything I want. I'm very happy I went to him instead of a general dentist or that franchise (Clear Choice)… He recommended the All on 4 implants procedure, extracted the few teeth I had left, installed four dental implants on top and four on the bottom and placed a custom designed, permanent dentures the same day. My wife couldn't believe the difference. It's really improved my eating habits and the way I feel about myself. I smile all the time now..
Dr. Steinberg placed ultra-thin veneers on my teeth. It was easy to get the appointment time that worked for my schedule. Not only was he able to provide everything promised, he went above and beyond and exceeded my expectations. I was worried that I was going to be in a lot of pain when I left, but I wasn't at all. I felt absolutely fantastic, and my teeth look great. Dr. Steinberg made the extra effort to make sure every question and concern I had was addressed. His staff really knows what they're doing, and they know a lot about the different dental procedures and options that Dr. Steinberg offers. He is a specialist, so the cost was a little higher but well worth it.. I went to Dr. Steinberg for a free consultation. I wanted to know more about dental implants. He made sure every single question I had was answered. His staff was very friendly, welcoming, warm and professional. The consultation didn't cost me anything, and it was very informative. Financing was available through Med Loan Finance for which I qualified. I was so impressed with Dr. Steinberg and his staff that I scheduled an appointment to get started. All my questions were answered, and I feel a lot more confident about what to expect in terms of the procedure and to cost for dental implant treastment..